Learn to swing dance in NY today, and impress all your friends at your next party or gathering! Find out about all types of swing dance classes in NY, including ones that specialize in training novice dancers. Learn the Swing, Tango, Hustle, or other Great Dancing Styles! For some of the most fun swing dancing classes in New York, swing by You Should Be Dancing--NY's most progressive dance studio! The studio is conveniently located just outside Penn Station at Madison Square Garden; making it convenient from most NYC subways, NJ Transit, and Long Island Railroad. Learn swing dances from the 1920's, 30's, and 40's like the Lindy Hop, Charleston, Balboa, Shag, and Peabody. Browse through the website for the upcoming class schedule. Other dancing styles offered at the studio include ballroom, Argentine Tango, the hustle, belly dancing, Cuban style salsa, cha-cha, and West Coast Swing. 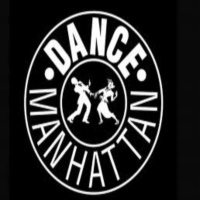 Learn To Swing Dance With Dance Manhattan Dance Studios! Here at Dance Manhattan Dance Studios, they offer swing dance lessons and an amazing place that offers affordable lessons and teaches the techniques in swing dance to help you learn easily. They offer private sessions, group or one day crash-course and workshops. Come to the place where it offers nothing but great service and quality training here in New York. Come to Dance Manhattan Dance Studios and learn to swing dance. Learn From The Experts Here In New York! 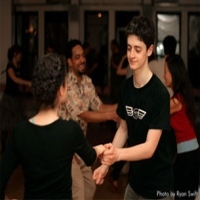 Manhattan Ballroom Dance Studio offers excellent teaching methods in swing dancing, where the instructors are among the most experienced and skilled. You will definitely learn the ways of swing dancing. More than just an ordinary dance studio, Manhattan Ballroom Dance Studio offers quality training in helping their students develop their skills in dancing. So enroll today at Manhattan Ballroom Dance Studio and experience for yourself what it takes to be an amazing dancer. Train To Be An Expert In Dancing! Dance Times Square offers various methods of dancing, it is a dancing studio that offers fun and affordable lessons for everyone to enjoy. Whether you're a beginner or an experienced dancer, Dance Times Square has something new to teach you. The studio is home to the skilled and talented instructors dedicated to train you the techniques and steps of dancing. It is a place where you can learn swing dancing and have fun with its lively dance steps and moves. So enroll at Dance Times Square and learn how to dance the fun and entertaining way. For more information and schedules please visit the website. Learn Swing Dancing From The Experts! Swing dancing is an upbeat kind of dancing, where you enjoy swaying and swinging your whole body to the beat of the music. Sandra Cameron dance center offers swing dance lessons where you learn the styles of social jazz dancing and Lindy hop. It is a venue for great learning and where the trainers are exceptional in the skills of dancing. So what better place to be in New York than Sandra Cameron dance center, where every lesson is a new opportunity to learning something amazing? Work Out Your Dancing Skills With Dance Sport! A dance school here in New York that offers world class dancing lessons, where you will be trained by professionals and skilled instructors. They offer swing dancing lessons for beginners and experienced individuals who wish to enhance their skills in this style of dancing and get a better scope in performing a wonderful dance. Dance Sport offers affordable rates in dance lessons where you can learn so much more and also have a worthwhile experience. So enroll now at Dance Sport and learn to dance. Experience Great dancing With Ballroom off Fifth! A premier dance center here in New York, where beauty and creativity are appreciated and enhanced. Ballroom off Fifth is a place that offers one of the best dance lessons here in the city, where the trainers are among the best and highly skilled in the business. Also the center offers lessons on swing dancing, where you are trained to learn and master the moves, and in no time, you will perfect the ways of swing dancing. So join Ballroom off Fifth and discover great dancing styles and techniques, only offered by New York's very own Ballroom off Fifth. Painted Rhythm Dance is a dance studio here in New York that offers quality and effective ways in teaching swing dancing. You can bring your friends along for group dancing lessons or you could also avail a private lesson. The studio in itself takes pride in their skilled and experienced instructors who have trained many students to be great at swing dancing over the past years. So enroll today at Painted Rhythm Dance and learn to dance like a pro. Visit the dance studio today or email them at their website. Experience Swing Dancing With Strictly Ballroom Dance! Strictly Ballroom Dance offers workshops and dance lessons in swing dancing, where you are trained in the different styles of swing dancing like Lindy style, East Coast Swing, and more. It's a dance studio where beginners get direct supervision and help them learn the dance steps easily and gracefully. A great dance studio here in New York, where it offers an affordable and fun learning experience. 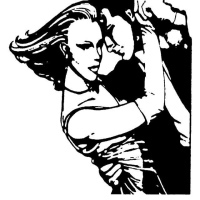 Visit Strictly Ballroom Dance today and learn how to swing dance the right way. For more information and for the schedules please visit the website. 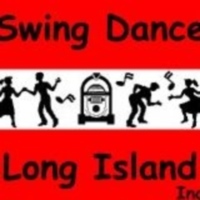 Swing Dance Long Island, Inc is an organization dedicated to bringing swing dancing to everyone who wants to learn the amazing dance. They offer swing dance lessons every Tuesday to everyone who wishes to join. The venue of the swing dance lessons is at Moose Lodge of Greenlawn in Long Island. Every dance lesson is great learning where you are taught the basics and learn your way to the challenging dance moves. So learn from the experts here in New York, where swing dancing is part of everyday life, only at Swing Dance Long Island, Inc. Learn Swing Dancing With The Best In New York! A Dance center here in New York that offers various dance styles including swing dancing. Stepping Out Studios offers a wonderful experience in swing dancing, where every lesson is designed to improve and enhance your skills to become an amazing dancer. You will learn the basics and get to progress to becoming an expert. 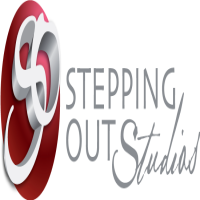 Make your reservations today by contacting Stepping Out Studios via email or through phone, hurry and avail their great and affordable offers.